Welcome to San Diego! It is the best place to find a temperate climate all year round. The city has everything that you want from incredible beaches, romantic spots to a vibrant nightlife. 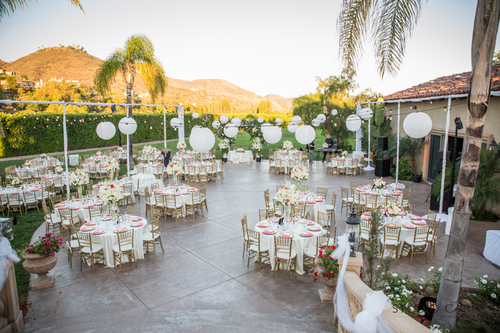 It is said San Diego has it all and therefore is an ideal venue for outdoor weddings. If you are thinking of alternatives for your wedding, rather than a religious setting and you are looking for gorgeous scenery with a natural backdrop, then a San Diego Outdoor Wedding is perfect for you. 1. Cost of the services – Carefully compare and check costs of ALL available services provided to you by an Event Planner. In some instances, Planners have undisclosed or hidden charges that are assessed once the wedding is over. Therefore, it is advised to finalize pricing before the event and have a list of services that will be will be included or excluded. 2. Reputation of the Event Provider – Thanks to the internet everyone can now easily check the reputation of the service provider through the Event Planner’s personal online website and other critiquing portals. Previous customers can be contacted, or their evaluations can be reviewed through the internet to get detailed information about the Provider’s services. 3. Availability of the date – When finalizing the event, make sure your Event Planner has secured your date and desired location. 4. Compatibility with the Event Planner – Some outdoor events are finalized well in advance of the actual wedding date. You should feel comfortable enough with your chosen Planner to continually touch base regularly with any new questions surrounding your “Big Day”. If the Event Planner is experience and well seasoned, they will always have time to listen to your concerns so your needs will be met to make your wedding exactly and better than what you expected. When considering the best destination and weather for an outdoor wedding, a San Diego Outdoor Wedding will rank #1 as a top location. But it is the responsibility of you, the client, as to which Event Planner to hire. At present, one can find plenty of event planner, but before a final decision is made, checking the Event Planner’s reviews and testimonials is paramount. Not only should price comparisons be made between Event Planners, but the quality of services, decorations and wedding reception set-up should also be things to consider. A wedding is a once-in-a-lifetime affair and should be planned very carefully. The expert and professional Event Planner will make sure there are no “loose ends” and you and your guests enjoy your special day. If you hire the right wedding planner, then you will enjoy this memorable day with your loved ones, and your wedding will go really smoothly without a hitch.